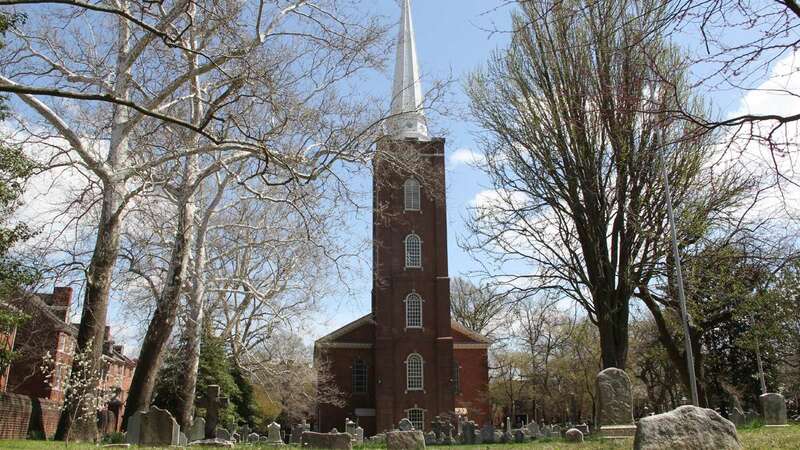 When Philadelphia’s historic St. Peter’s Church, where George Washington once worshipped, was built in 1761, it was the tallest structure in the city. It kept that distinction for 140 years until the statue of William Penn was erected atop City Hall in 1901. 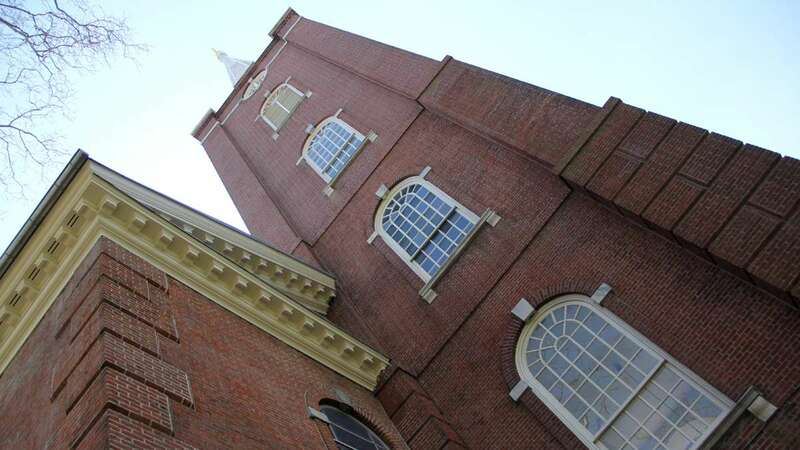 The bell tower was added to the church at at Third and Pine streets in the mid-19th century to accommodate a set of bells gifted to the church by Benjamin Chew Wilcocks, a grandson of Benjamin Chew, the Pennsylvania lawyer who advised the Founding Fathers as they drafted the U.S. Constitution. Prominent architect William Strickland, who also designed the nearby Merchants’ Exchange Building, built the tower. The church tower did not fare as well. 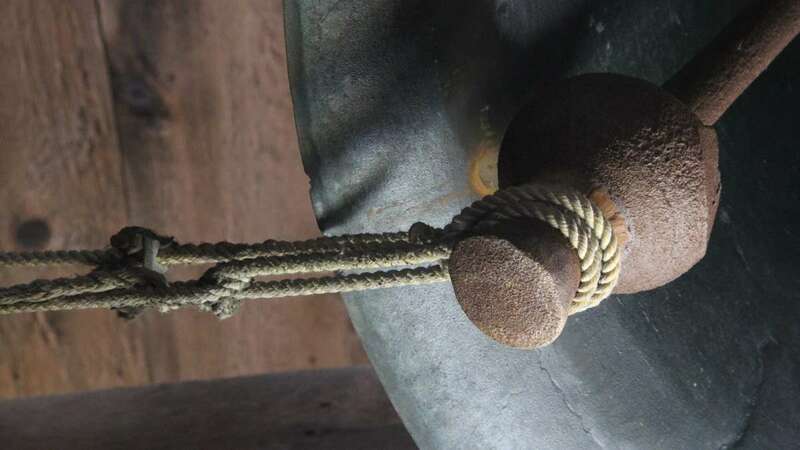 The eight bells, which together weigh several tons, were designed to be rung by pulling ropes that swing the sturdy bells upside down in a circle. To remedy the situation, the tower was shored up with metal beams. 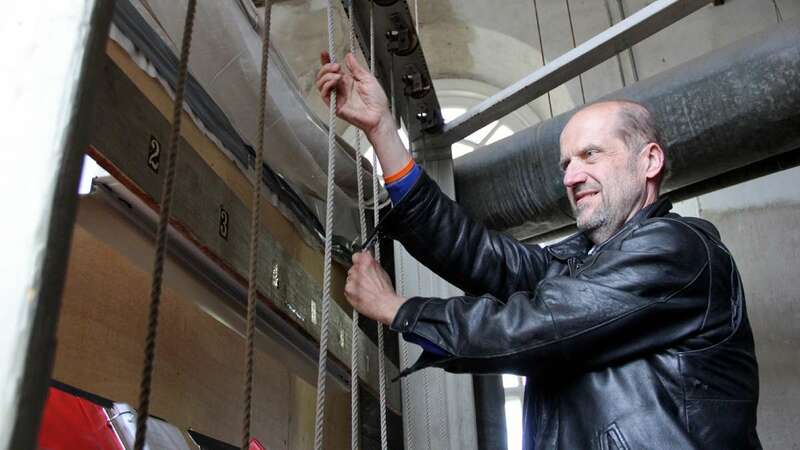 And, instead of swinging the bells, a rope pulls the clapper against the bell. 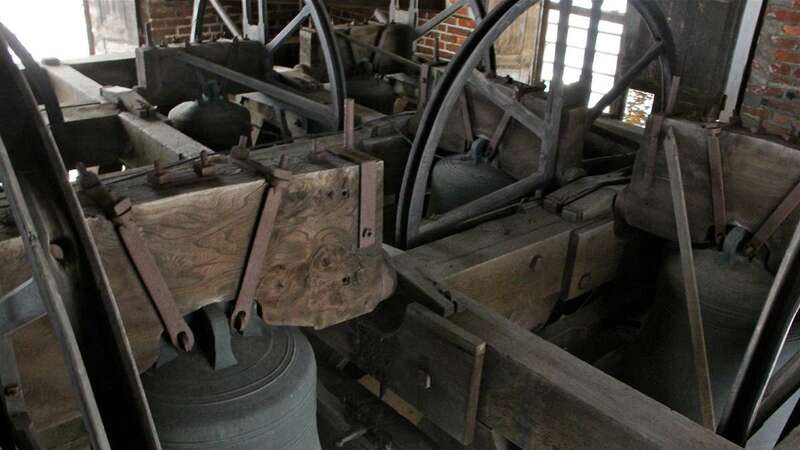 For almost two years, the bells have not sounded at all. The problem was not the bell tower but the church next to it. 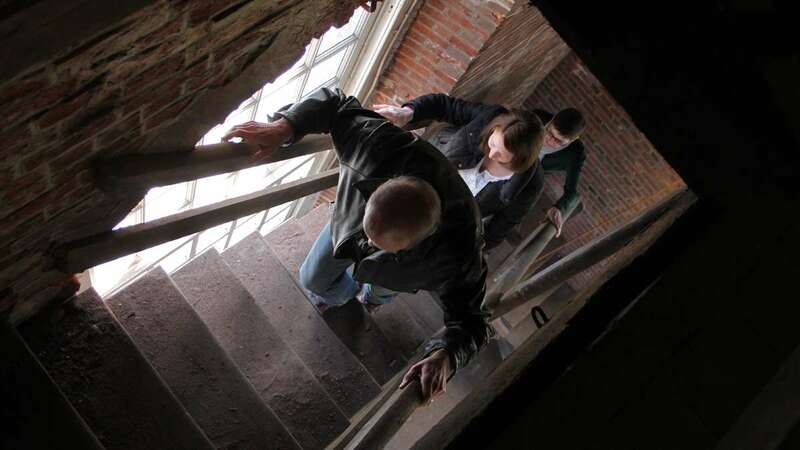 A structural inspection in 2012 determined that the roof over the church sanctuary was in imminent danger of collapse, and the church was immediately closed. Both the sanctuary and bell tower were strictly off limits. After about six months of repair work, the Episcopal congregation was able to use the sanctuary again. But by then, no one knew how to ring the bells anymore. 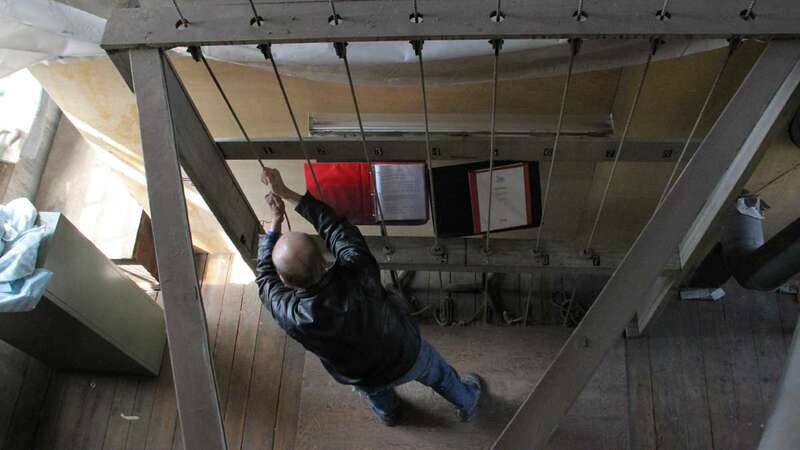 It took the congregation about a year to find three people with the dedication to learn how to ring the bells and build the upper body strength to do it properly. They will debut for Easter services. 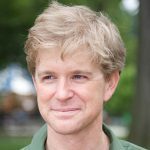 You can hear a sample of the St. Peter’s bells at the top of this page.